@jobsworth and I were just pointed by @aainslie to a @ronmiller piece in @TechCrunch titled In The Age of Disruption, Customer Love Is More Important Than Ever. The headline says it all, and it’s true. But, as with all pieces like this, it’s about what companies can (or should) do, rather than what customers can do. Think about it. What if customers had their own methods of expressing loyalty? Not silo-provided gimmicks like Facebook’s “like” buttons, but standard tools or systems that every customer could use, as easily as they use their own wallets or phones. Think about how much better it would be for the whole marketplace if we built loyalty tools and systems where loyalty actually resides: on the customer’s side. 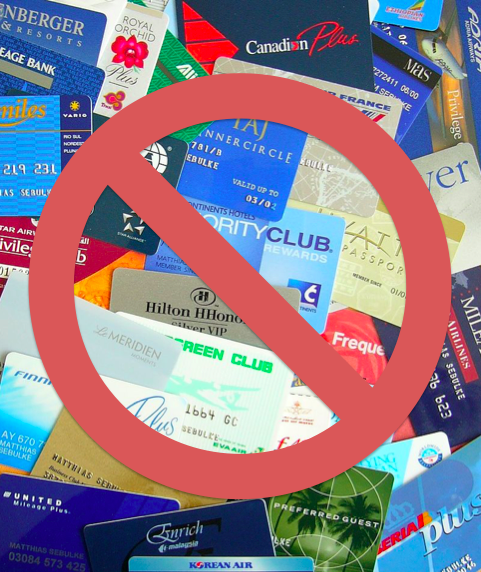 What customers express through these tools and systems would be far more genuine and meaningful than any of today’s silo’d and coercive “loyalty programs,” which inconvenience everybody and yield rewards worth less than the time wasted by everybody dealing with them. If loyalty systems are left entirely up to the sellers of the world, we’ll have as many different systems as we have sellers. Which, of course, is what we already have, and it’s a royal mess. As it happens, loyalty is one VRM development area where there is nothing going on, so far — or at least nothing that fits the description I just made. So maybe it’s about time to get started. Looks like a greenfield to me. Speaking of which, I’ll betcha there is stuff that already exists within CRM systems that could be ported over to the customer side, and then match up with seller-side CRM stuff. Be interesting to hear from CRM folks about that. Here’s the key thing, though: customer VRM loyalty tools need to work with all CRM systems. (Just like, say, browsers, email and other standard customer-side tools also do.